You found this page because you’re interested in a TREVO MLM review or TREVO benefits review! Trevo is a fast expanding Network Marketing company in Nigeria which has invested a lot of resources in Nigeria, and also is known for its integrity. 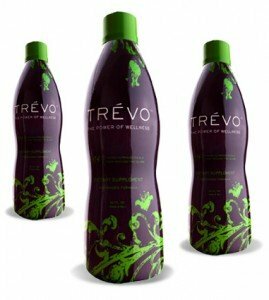 Trevo is a health and wellness MLM company and is arguably one of the best MLM companies In Nigeria. Do you have doubts about the health and wellness industry? Are you wondering why a health and wellness MLM might be the best for you? According to businessforhome.org, a leading MLM industry website, TREVO is in the top 200 legitimate Network Marketing companies out there. Combine this with Trevo’s accreditation by the direct selling association (DSA) of the USA and you have a real, legitimate Network Marketing company in Nigeria who mean business! CLICK HERE and fill out the application form! TREVO LLC has just 1 major product, the TREVO drink supplement. The supplement contains a mixture of 174 natural ingredients from Graviola, to Acai Berry, Aloe Vera, Mangosteen, etc. TREVO works at the cellular level and helps to restore, renew and revive your body. Antioxidant Capacity. The Trevo supplement antioxidant power has been written about by other MLM industry websites. Click here to read more. Total body support up to the cellular level. Trevo has many international certifications, such as ORAC, with a score of over (400,000), Kosher, Halal, Cap-E, NAFDAC (for Nigeria), and others. Weight loss management is supported by TREVO. Eat a light dinner, or replace dinner with Trevo. If this is followed consistently, you will lose weight and have increased energy, and a sense of well being. Trevo can also help with infertility. It also works for hormonal imbalance, Fibroid, Ovarian cyst and supports mens sexual health. Trevo dosage is measured in caps of the big bottle. 1 cap is one ounce, so you need to take 2 caps daily. However, if you are using Trevo to support an ailment, you can take 2 caps, 3 times daily. There are no recorded side effects of using TREVO. Personally, I have been using TREVO since 2012, and I can’t remember the last time I had any major ailments! However the Trevo supplement should not be taken by children below the age of 2 years. TREVO can also be taken by pregnant women to give them the right nutrition. A lifetime Trevo distributorship, which you maintain by reordering product every month for your own use. Luxury Trip Award Program for qualified Trevo life and health coaches. Luxury Car Benefits for qualified life and health coaches. Click here to find out more. One of the other Trevo benefits that seem to stand out is that there is no pressure to sell, though you are allowed to sell if you want. The TREVO compensation plan also provides 8 ways of making money, through retailing, and of course the network marketing opportunity. For more info, watch the videos further down the page. The TREVO compensation plan is a hybrid plan, which is a blend of single line matrix and unilevel. This means if you sign up a distributor today, maybe at 8:05 am, and someone you do not know signs up in China after you at 8:10 am, that person is placed below you in your global team!. When you become a Trevo director, Trevo pays you a percentage OF ALL SALES of people who joined after you worldwide! Now that is massive and no other MLM is doing this! With this system, you are allowed to register as many people as possible. Also, there is no limit to the number of people you can register! Some compensation plans restrict you to just two people, but Trevo says if you can register 1000 people on your first level, go ahead! You make a minimum of 40 USD on each sign up you make and other commissions up to your 8th generation! TREVO has different registration packages, and I will mention some of them in this Trevo review. Trevo had a 24 bottle package right down to the 1 bottle package. 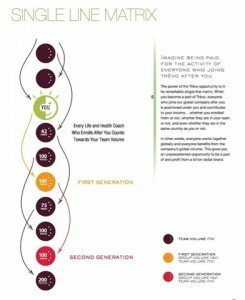 Trevo pays commissions up to the 8th generation for any activity in your team. THEN you will get a nice commission and then 8 other people above you, get paid. This means that if you have a team that is active, you will be earning commissions from people who register other people that YOU don’t know! This will happen for YOU up to 8 levels deep. No other MLM company would dare try this. Most companies pay you an initial one-off commission once you enroll someone and it ends there. Trevo’s retail program is called the Elite Customer program. 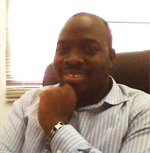 It allows you to register people who strictly want to use the product as your customer. Their credit card is billed automatically each month and their product is shipped to them automatically. This basically just means that you are paid on each reorder of TREVO that is made in your team. This is where the real concept of Network Marketing leverage kicks off. Every month, TREVO takes 15% of global sales (not profits) and shares it amongst qualified Trevo members. Global sales increase with Trevo’s expansion into different markets, like Japan and Europe this year. TREVO is in about 23 countries worldwide and the company made over 9 million USD per month in sales. Imagine how sales would be impacted when they open Japan or even expand into China or other countries with a huge population. This for me is one of the most exciting things about TREVO and why you should seriously look at this company. This is just 3 out of the 8 ways TREVO pays. For more information on the other ways, TREVO pays, watch the videos below. This highlights the TREVO supplement Benefits, as well as the ingredients in the TREVO drink. You can learn more about the Trevo compensation plan by watching this video from CEO Mark A Stevens. I hope you got value and education from this TREVO review. Are YOU interested in joining TREVO or maybe you have further questions?